Dumpling vs gyoza, what side are you on? If you are still struggling to pick a side or you have absolutely no idea what both dishes are, then you should keep on reading. Hopefully, this article should help you pick a side or help you decide not to pick a side and well, let you in on almost everything about these dishes. More than choosing which recipe is loved more, most persons find it difficult to really differentiate the meals. 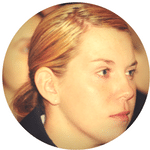 The similarities are too closely knitted whilst the differences are not so clear-cut either. Another troubling thing about these dishes is that they bare names that are overlapping too. Are dumplings Japanese or Chinese? Can dumpling refer to just one kind of dumpling? Is gyoza a dumpling? These questions are wearisome but thankfully, answerable. A conversation about dumplings is one you should probably not try to engage in unless you’re an expert on them. Pot stickers and jiaozi are definitely two more words that are thrown into the conversation where gyoza is at the middle. Why is the Term “Dumpling” Confusing? Because there are many different types of dumplings. The term “dumpling” is not tied alone to one dish though most persons tend to conjure up the image of a Chinese dumpling when they hear the word, and that’s a good reason why it can get really confusing. Dumpling is a broad term used to classify any dish that’s made primarily with a piece of dough that can is usually (not always) made from flour. The dough is either wrapped around a filling or wrapped around with no filling. 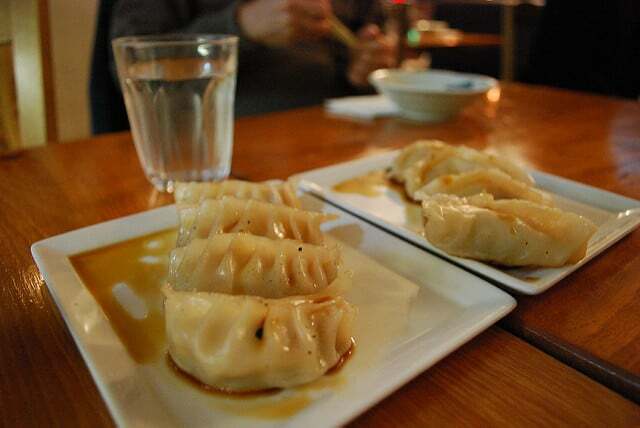 Also, dumplings offer us, the eaters, a wide variety of filling options, the filling can be vegetarian or meaty. Most dumplings over us this choice, a particular kind of dumpling can be vegetarian, meaty or a mix of both meat and veggies. The fillings are either sweet or savory, most times. There’s also no one method of making dumplings, they are made by simmering, boiling, frying (shallow or deep frying), baking or steaming. Almost every place in the world has at least one dumpling peculiar to it and in these places, they’re almost always addressed by very specific names and not dumpling. Though half or perhaps over half of the world’s dumpling population is in Asia, the dish type is also found in Africa, America and Europe. So don’t get alarmed that you can’t stop thinking if Asia when you hear dumplings, the continent has got a lot of them with the most famous dumplings coming out of China and Japan, and this is where the confusion lie. Note: India has a lot of dumplings, however, they’re not yet as famous as those from China and Japan except a few like the samosa. In Asia, particularly in Japan and China, these dumplings are further subdivided into smaller groups. For example, gyoza, a Japanese dumpling has about 4 types of gyoza. Dango: These are sweet dumplings that are served on a skewer, usually 3 or 4 dango per skewer. 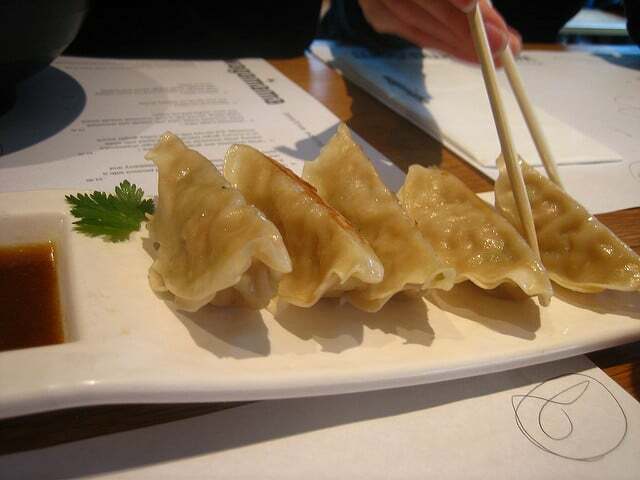 Gyoza: Correctly spelled as gyōza, it is the Japanese version of a Chinese dumpling known as jiaozi. A copycat version ish. Nikuman: This too, is the Japanese version of baozi, a Chinese dish too. Jiǎozi or Jiaozi: The Chinese dumpling from which gyoza originated from. More popular in northern China. Wonton: With shape resembling that of Italian tortellini, they’re more popular in southern China and have a thinner and less elastic skin wrap. Baozi: A large subclass of dumplings with dishes such as Cha siu bao and shuijianbao. Zongzi: A glutinous rice dumpling with fillings that are either sweet or savory and are traditionally eaten during the Zongzi or Duanwu festival. Yes, there are several different types of dumplings, but knowing the dumpling which is being referred to by the trend, gyoza vs dumpling, gets easier if you remember that gyoza has a “twin” dumpling. Thus the dumpling on the spotlight is jiǎozi, incorrectly referred to as Chinese gyoza sometimes. Incorrectly, because the gyoza is from jiaozi, and not the other way around. Now that that has been cleared up, keep in mind that dumpling from here on is the Chinese dumpling. 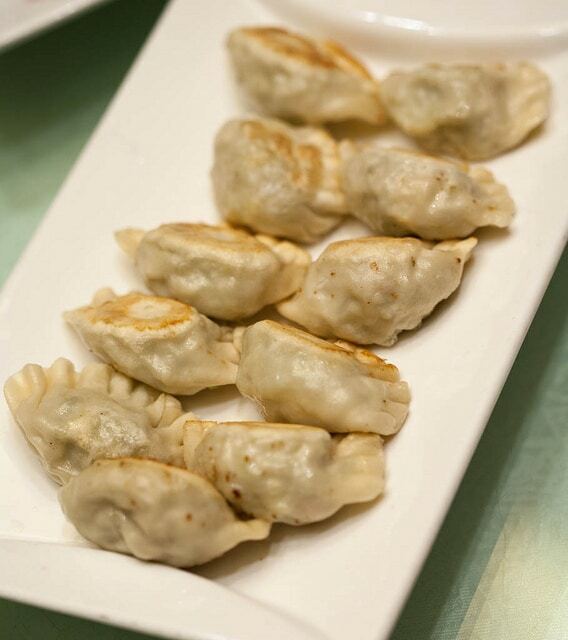 Chinese dumplings can be eaten as a snack, main course, side dish, or appetizer. They are also usually served as an item in dim sum. The jiaozi dumpling is one of the commonest Chinese dumplings. It is eaten traditionally on Chinese New Year’s Eve and on other special days though it is also eaten all year round. The filling usually consists of minced meat (commonly pork) with finely chopped veggies such as Napa cabbage. This filling is then wrapped up with a piece of dough skin, which is either thin and elastic or thick and somewhat, inelastic. Typical meat fillings are pork, beef, chicken, mutton, fish and shrimp. The meat are usually minced. In Guangdong, shrimp dumplings are the commonest filling type. 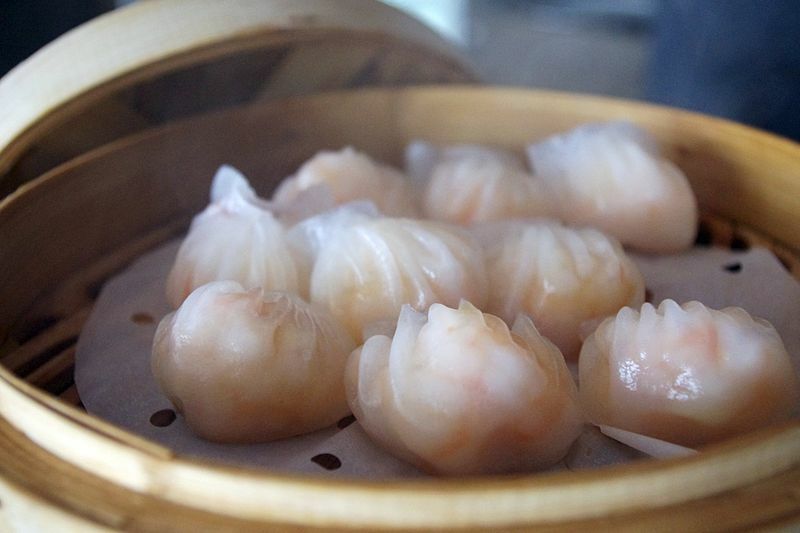 Shrimp dumpling are also known as har gow. 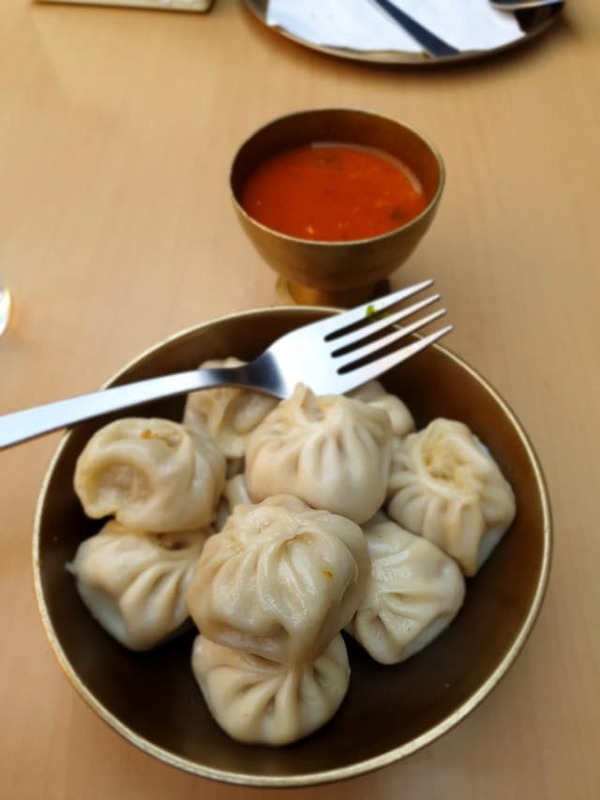 This type of dumpling are generally smaller in size, they also have a thinner wrapper and as such are significantly easier to cook by steaming. Typical vegetable fillings are Napa cabbage, leek, celery, garlic chives, carrot, shiitake mushroom, scallion (spring onions), and spinach. Typical filling mixtures include: garlic chives with scrambled eggs, pork and shrimp with veggies and pork and Napa cabbage. Jiǎozi are usually served alongside a dipping sauce made from vinegar, chili oil and soy sauce (optional). Or make with black vinegar and sesame oil. Or you can make a spicy sauce with vinegar, hot sauce, sesame oil, garlic, ginger, and rice wine. Types of jiaozi: The types exist primarily based on their method of cooking, and not the fillings used. Pan-fried jiaozi or guotie or pot stickers: Served as a side dish, main course, appetizer or as a part of dim sum. Guotie are shallow fried in oil on one side to crispiness in a wok after it has been steamed. Or are fried first on one side before being steamed. In Boston, guotie are known as Peking ravioli. Boiled jiaozi or shui jiao, this jiaozi is boiled and then served. Steamed jiaozi or zhēng jiao. Egg dumplings is a not so common jiaozi variation, these are dumplings that uses egg to wrap the filling. Filling (pick your preferred filling from above). Seasoning e.g ginger, kosher salt. Canola oil, to fry if you’re making guotie. Wrappers, to wrap the filling. If well cooked, your filling remains juicy while one side of the pot stickers is crispy and the other chewy and tender. To make, prepare your filling first, mix the filling with the seasoning and sesame oil and then scoop a little quantity onto the wrapper, and fold. Fold well enough to prevent the filling’s liquid from leaking out. Then, using a little canola oil, fry one side till it’s crispy and brown, add water and allow to steam. Remove from heat only after the water has dried up. Serve with a dipping sauce. 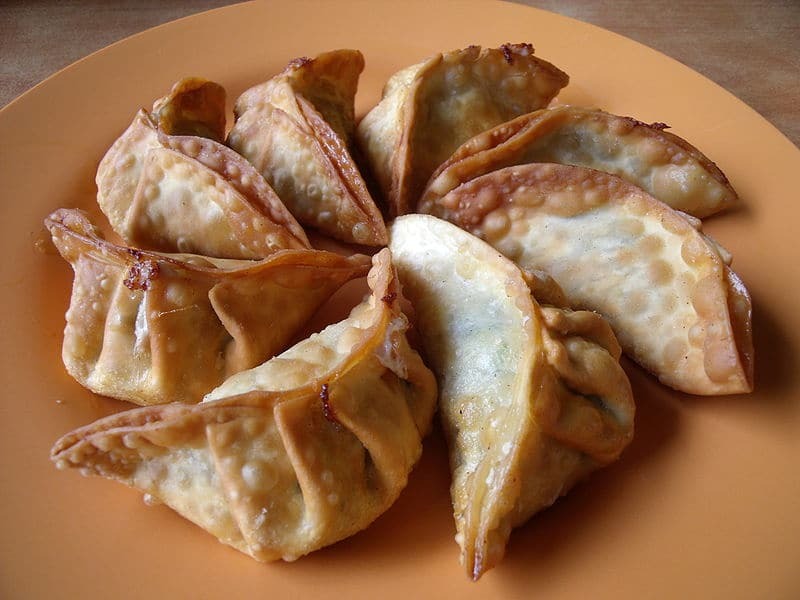 This is a dumpling that is made with minced meat and vegetables as filling and wrapped in a thin dough. The gyoza as mentioned before originated in China as jiaozi and spread to Japan to become gyoza after the second world war. After the second world war, Japanese soldiers who had been in China during the war returned home and wanting to recreate the jiaozi dumplings they ate while in China, they ended up with gyoza. While the range of fillings are truly diversified and are not restricted, chefs keep on coming up with new fillings but the typical fillings are: minced pork, green onions, shredded cabbage. However, cheese, shiso leaf, shiitake mushroom, natto (fermented soybeans), shrimp or other seafood can also be used as fillings. The list is endless but these should get you started! For seasoning, the Japanese dumplings are seasoned with garlic chives known as nira, soy sauce, sesame oil, ginger and garlic. Types of gyoza: The types of gyoza are named after the method by which they’re prepared. Yaki gyoza or pan fried dumplings: These are the commonest gyoza dumplings and are the exact opposite of the Chinese guotie or pot stickers. These are made by pan frying first in a hot skillet and then, boiled and steamed in a water and cornstarch mixture which is poured into the pan with the pan covered. The lid is later removed and thus allowing the yaki gyoza to crisp up, the crisp nature is done on just one side of the dumpling. After cooking, you end up with juicy filling, crispy bottom and soft tender top. The gyoza ingredients are pretty similar to those of pot stickers and so is the cooking process. When the individual yaki gyoza are allowed to stick together to become one batch, it is known as hanetsuki gyoza, that is gyoza with wings. Age gyoza or deep fried dumplings: These are served hot, they’re not as common as the pan-fried version but are also crispy and this delicious. 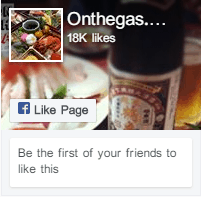 Can be found easily in any gyoza specialty shops. Sui gyoza: These are boiled either in water or in a soup broth and this have a nice chewy tender gyoza wrapper. Mushi gyoza: Instead of frying, you can go for a more healthier gyoza by steaming and when gyoza is steamed, it is called mushi gyoza. Gyoza has a garlicky taste, the strong flavor of the garlic makes the dish an absolute delight to garlic lovers. 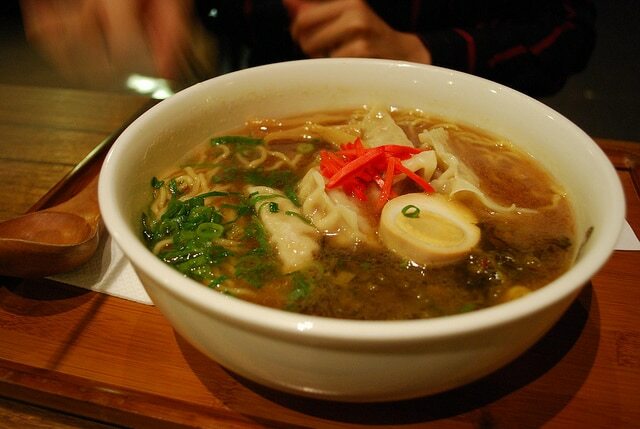 Ramen, another borrowed food from China goes well with gyoza, gyoza is served as a side dish to ramen. However, gyoza is more commonly served with a dipping sauce. Most of the dipping sauce used for gyoza are prepared right on the table on which the gyoza has been served, the sauce are not usually made beforehand. A very easy sauce to make is to mix equal quantity of soy sauce and vinegar with a little amount of chili oil (rayu). The soy sauce and vinegar do not necessarily have to be in equal amounts, mix to taste. Another dipping sauce to make involves mixing together soy sauce, sesame oil, vinegar, garlic and chili oil, mix to taste. Then, there’s the ponzu sauce, a tangy Japanese citrus sauce, it is made with citrus juice, rice wine vinegar and soy sauce. The soy sauce is optional and you taking it out does not stop the ponzu sauce from having the umami flavor. 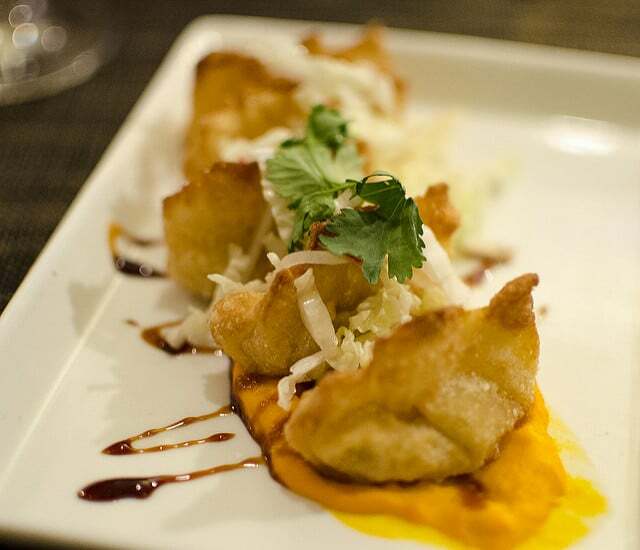 The gyoza dumplings can be served as the main course, a side dish or as an appetizer. It is easily found at ramen shops because they make a great food couple, also found at gyoza specialty shops, izakaya (casual diners) and even Chinese restaurants. Frankly, there aren’t very much difference. Pan-fried gyoza look very much like pot stickers, the taste and flavor is alike too though that depends on what filling was used. However, there are still a few differences to help you differentiate between the two if a plate of both pan-fried gyoza and Chinese pot stickers were placed right in front of you. For starters, they vary significantly in size. 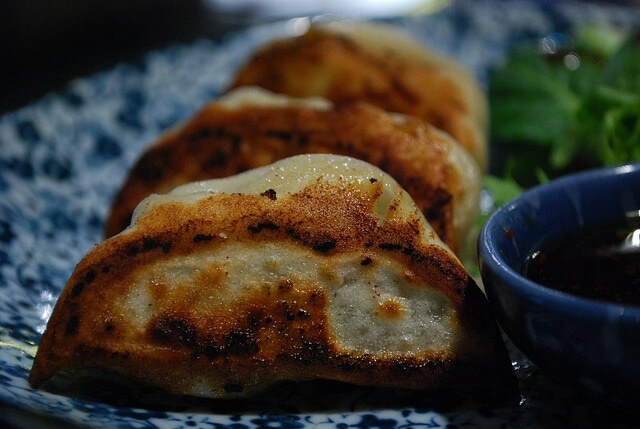 The Japanese dumpling (gyoza) is smaller in size and could be eaten in just 2 bites but for pot stickers (guotie), it would take about 4 bites to finish. Another difference is the skin (wrapper), gyoza has a thin skin while guotie has a thick skin. 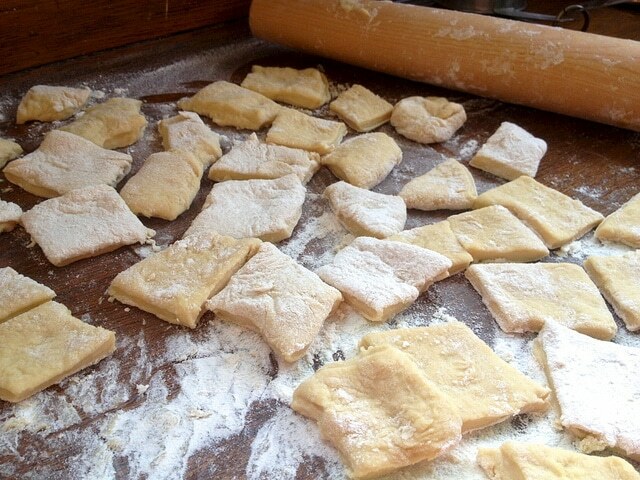 Due to the thin skin of gyoza, they are crispier than guotie. And of course, they both can’t taste exactly the same way, all thanks to gyoza being heavy on garlic, though there’s also the dipping sauce to consider. That’s basically everything when it comes to their differences. Gyoza and dumplings are more similar than they are different. The dishes span between two different cultures and to some persons, the difference is just in the name. The best way to highlight the differences would be to talk about the other types of gyoza and Chinese dumplings. Similar folding technique. The folding technique for gyoza could work well for guotie just be reminded that there are different types of folds. Cooking style: As long as it’s the pan-fried types of both, then there’s actually no difference between how they’re cooked. They are commonly eaten with a dipping sauce. They can both be served as appetizers, side dish, or even the main course. The similarities could go on and on but not the differences. So if you’re wondering which pan-fried version (gyoza vs dumpling) tastes better, you’re going to have to make yours yourself or buy some. And enjoy! Bun Rieu Recipe: Delicious Homemade Vietnamese Crab Soup!